On 14 February 2015, Paris Saint-German played against Caen at Parc des Princes. For most players this game was just another day on the job. 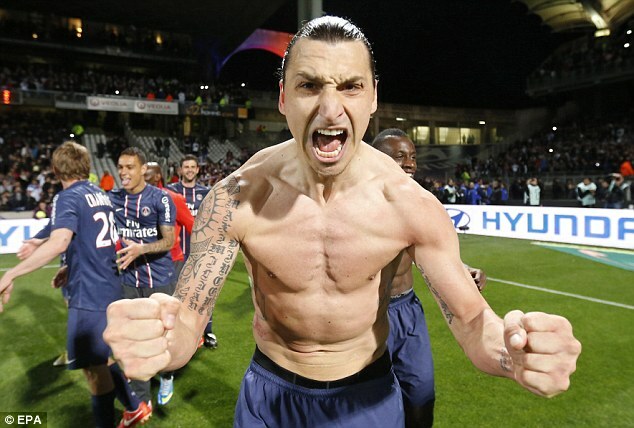 For Zlatan Ibrahimović this was his most important game to date. Underneath his sweater he had 50 new names tattooed. Names of people he’d never met, but still wanted to keep close. Names of some of the 805 million people suffering from hunger today. These people don’t often make the front page, yet hunger and malnutrition are the number one risk to health worldwide — greater than AIDS, malaria and tuberculosis combined. This is a campaign from the World Food Programme, the world’s largest humanitarian agency fighting hunger worldwide. In emergencies, they get food to where it is needed, saving the lives of victims of war, civil conflict and natural disasters. WFP is part of the United Nations system and is voluntarily funded. On average, WFP reaches more than 80 million people with food assistance in 75 countries each year. About 11,500 people work for the organisation, most of them in remote areas, serving the hungry.